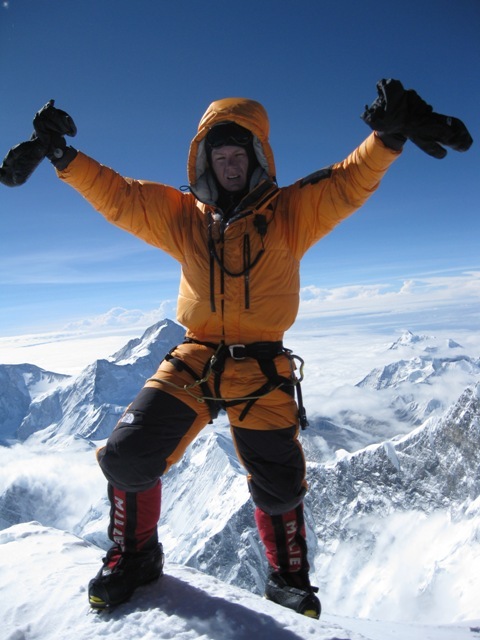 Well I am back at EBC in one piece from the summit of Everest, rather weather-beaten and skinny but a very happy man. I am only doing a quick post today – I need to write something much longer to do justice to the incredible experiences of the week-long summit attempt, and I’ve also got some beautiful pictures from up high to share. I will do this within the next few days for those that are interested. It was an utterly extraordinary experience. 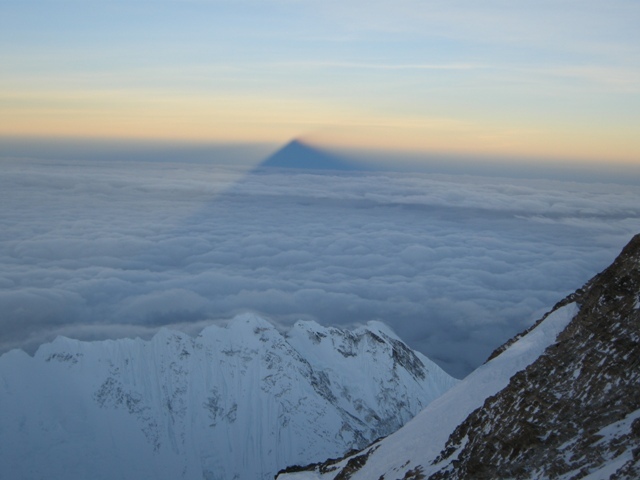 As Alix wrote, I reached the summit of Everest (8,850 meters) at 7.14am local time on the 21st May and spent almost an hour on the roof of the world. I was back at the South Col (7,960 meters) at 11.45am, and ended up descending all the way to Camp 2 (6,400 meters) the same day, which was totally exhausting. 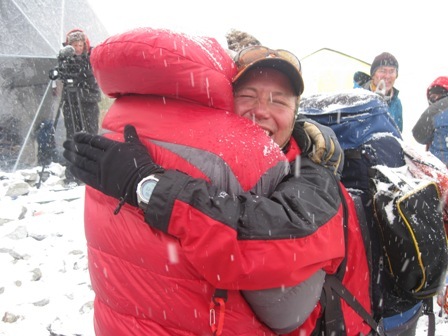 On the 22nd May I remained in Camp 2 as no one who descended that day from Camp 4 wanted to push through the Icefall to Base Camp that day, so I finally descended through the Icefall for the final time with the group yesterday morning. I have been recovering ever since. I will write a proper post along with some of the amazing photos I took within the next few days. For now here is a picture of me on top of the world. Over and out from a very happy me at EBC. 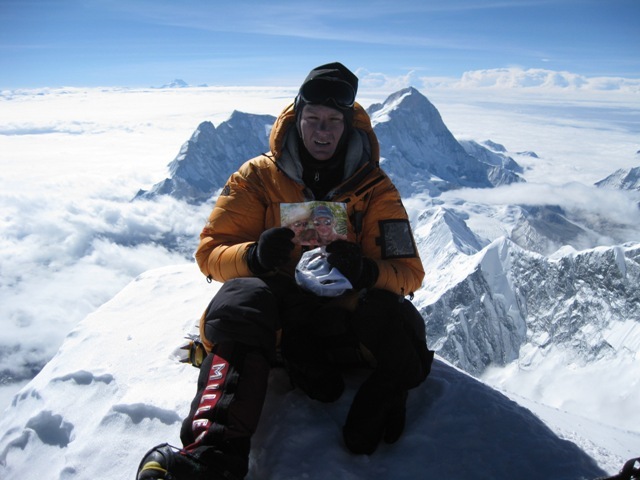 PS Vix – Chris made the summit on the 23rd May and is currently at Camp 2! He will be back in Base Camp tomorrow. Hello! 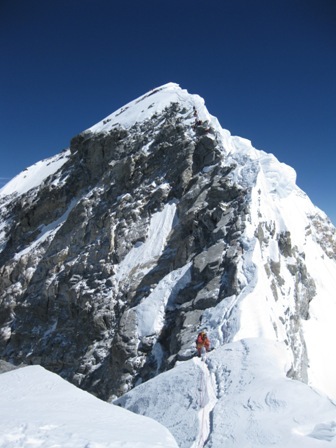 It’s been such an exciting night with a multitude of dramas on the radio, just incredibly tense as each climber’s personal ups and downs unfolded. First of all thanks so much to my parents for sitting by the phone in Arizona in order to post a few updates as I was glued to my seat in the Sherpa tent, unwilling to miss a radio call, calling them intermittently with dictated messages. There’s not much to say as I’m sure Valerio will want to post his own experience. Briefly, the team woke at 11pm for an 11:30 departure and made extremely good time, reaching the Balcony at 4am. There was some waiting here in the cold before they ascended and made their way to the South Summit where they got fresh oxygen bottles and powered their way to the infamous Hillary step, and on to reach the summit at 7:15am local time in gorgeous clear blue skies and some wind. 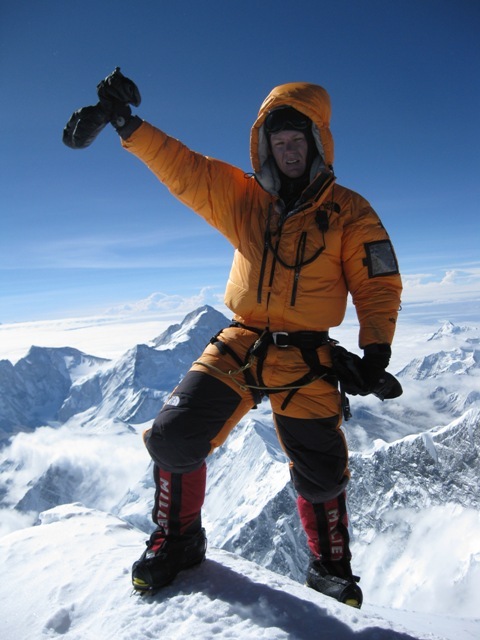 He summitted together with Moises, John Black, and Chris Jones and spent almost 45 minutes on top of the world, including a lengthy radio call to me that was a bit obscured by wind… he sounded happy and well anyway! Sorry too many exclamation marks but it’s very exciting to be here! He continued to dawdle and take photos on the way down, even earning an exasperated reprimand from Russell for hanging around in the sunshine and ‘posing’. Sound familiar? He replied that he was just ‘sunbathing’. To be honest most of the time he just sounded like he was having fun! He reached Camp 4 at 11:45, so almost exactly 12 hours round trip. Everything I write seems a bit anticlimatical so I’m going to go and savour the day. He’s not done yet of course- still a long way back down and a last scary trip through the Icefall, which has been very active with thundering avalanches today just in case I’d forgotten about it. Thank you all for your wonderful messages, writing this has been such fun. Next (last?) post will be from Valerio with a selection of the ‘hundreds’ of photos that he took. X from an elated EBC. Valerio called to report nothing more to climb. He feels on top of the world. 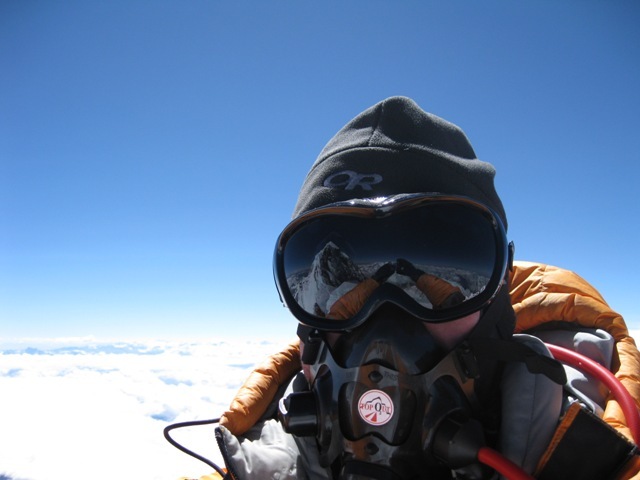 On the Summit at 07.14 local time (01.29 GMT) Thursday 21st May. Apparently it is “warm”, with a beautiful view. More later.